I write these words for love of Our Lord, Jesus Christ, and Our Lady, the Blessed Virgin Mary. I am no one special and I do not have special gifts. I am simply a soul who loves The Lord very much. In January 2017, I believe that I was given a series of special graces—infused knowledge—from Our Lord and Our Lady, about the workings of the Divine Plan for mankind. However, I will admit that I do not have perfect discernment and I am open to being wrong about the words that I am writing down now. While I was receiving these graces of infused knowledge, I was undergoing major spiritual warfare by satan and other high-level devils from hell. I also know that satan can masquerade as Our Lord and Our Lady and that he can mimic all graces and gifts from Heaven. So, knowing that I was being severely attacked by hell, I am the first person to admit that I could be wrong about everything that I write now. However, I want to be very frank, very clear and very upfront about something. I am not very smart. What I am about to share in this writing does not come from my imagination or my own intellect. I think that as readers of this writing will quickly discover is that these thoughts do not come from a human-based origin. These thoughts that I write down about the Divine Plan clearly come from a higher, superior intelligence. Neither I, nor any human person, could think these thoughts. And while I have come to accept the integrity of these words as coming from Heaven, you, the reader, must use your gift of discernment. These thoughts are either of God or they are of satan, or possibly a mix, since I was under demonic attack while they were given. But, please clearly know, these thoughts are not mine. I am not that smart to think in this sophisticated way about the Divine Plan. They do not come from human knowledge or a human source. On my main website, MaryRefugeOfHolyLove.com, I feature heavenly messages from different sources as they relate to The End Times—the Great Tribulation as mentioned in Holy Scripture. It is my sincere hope that my blog can serve as a helpful resource in the aftermath of The Great Warning—a great supernatural event prophesied and known about since the 1960s among Catholic circles. Also known as the Illumination of Conscience, The Great Warning will be a great supernatural intervention coming directly by the Hand of God in the affairs of mankind. Every man, every woman, and every child over the age of reason, will experience a life review—a “mini-judgment”—for about fifteen minutes before God. The focus of the life review will be on unconfessed sins and every person will know if they will go to Heaven, purgatory, or hell, if they continue living the same way on earth. Then, after the fifteen minutes has passed, life on earth will return to normal and people will be given a chance in time to amend their lives by following the Ten Commandments and living instead for God’s Plans and His Greater Glory. I invite all readers of this writing to visit my blog, MaryRefugeOfHolyLove, to learn more and to prepare themselves for the fulfillment of The End Times. Meanwhile, I also have a sister website, Mary Queen Of Peace – Fatima, Garabandal And Medjugorje, which has relevant information on the special Marian apparitions of Fatima (Portugal, 1917), Garabandal (Spain, 1960s), and Medjugorje (former Yugoslavia, 1981—ongoing). I want to also invite all readers to visit my sister website, in particular, those who are not familiar with these Marian apparitions. Simply put, it is important to know the stories of Fatima, Garabandal, and Medjugorje, to fully understand what I am about to reveal in this writing. At Fatima, Our Lady revealed the Peace Plan of Heaven to three shepherd children. This Peace Plan involves the daily recitation of the Most Holy Rosary and a five-month First Saturday devotion by the faithful to The Immaculate Heart of Mary. Also, it involves the Consecration of Russia by the Pope in concert with all Catholic Bishops to The Immaculate Heart of Mary. If these conditions are fulfilled, a Great Era of Peace would take place in the world and in the Catholic Church. In particular, nations of people would be saved from annihilation and nuclear war would be averted. At Garabandal, Our Lady revealed that within a year of The Great Warning (Illumination of Conscience) taking place, that a Great Miracle by God would happen at the Pines outside the village of Garabandal. The day of the Great Miracle would be announced eight days in advance by the visionary, Conchita, who has kept it a secret since the 1960s. Also, after the Great Miracle takes place, a Great Sign will be left by God at the Pines. The Great Sign is supernatural and indestructible. Our Lady revealed that The Great Warning, the Great Miracle and the Great Sign are meant by God to convert all mankind. But, if mankind does not respond and convert back to God, then a Great Chastisement by God would take place. The Great Chastisement is known to be conditional. Medjugorje is a daily Marian apparition that started in 1981 and is on-going. There are six visionaries—Mirjana, Ivanka, Marija, Jakov, Vicka, and Ivan. Three of the visionaries—Mirjana, Ivanka, and Jakov, have received Ten Secrets from Our Lady. They have ceased receiving daily apparitions from Our Lady and only see Our Lady once a year. The other three visionaries—Marija, Vicka, and Ivan—still receive daily apparitions of Our Lady and have received Nine Secrets. It is known that once they receive the Tenth Secret, Our Lady will no longer appear daily to them. Not much is known about the Ten Secrets. The date of each Secret will be revealed ten days in advance by Mirjana; and a priest of her choosing will reveal the event of the Secret three days beforehand after seven days of fasting with Mirjana. It is known that the first Three Secrets are warnings from God—the First Secret involves a regional event and the Third Secret involves a permanent, indestructible, supernatural Sign at Medjugorje. The remaining Seven Secrets involve chastisements for mankind. And, in particular, the Ninth and Tenth Secrets are Grave Chastisements from God for the sins of mankind. It is also known that the Ten Secrets given to each of the visionaries may be different from each other. However, both the Third Secret (the Sign at Medjugorje) and the Tenth Secret seem to be the same among the visionaries. Only Our Heavenly Father knows the day of The Great Warning (Illumination of Conscience). It can happen anytime and it is not part of the Ten Secrets of Medjugorje. Jesus and Mary do not know the day of The Great Warning. It is a deliberate decision of Our Heavenly Father for Jesus and Mary to not know the day of The Great Warning, so satan cannot manipulate its exact knowledge among mankind. satan would have done this by masquerading as Jesus and Mary to genuine visionaries and chosen messengers in the world today. Many people are curious about the Ten Secrets of Medjugorje. I do not know the specifics of the Ten Secrets, nor do I know the dates. I only know, in a limited way, aspects of the Tenth Secret, which is a Grave Chastisement for the sins of mankind by God. The limited aspects of the Tenth Secret will be revealed by me in another writing at a later date. Meanwhile, I do know that The Great Warning (Illumination of Conscience) unlocks the significant events of the Great Tribulation in The End Times. Through many messages given to Prophet John Leary (http://www.johnleary.com), Our Lord, Jesus Christ, has indicated there will be only six weeks to convert people after The Great Warning takes place. I believe that after the six weeks of conversion has taken place, God will permit the antichrist (a demon incarnate) to reveal himself to mankind. As revealed in the Book of Truth (Maria Divine Mercy), the antichrist will use a nuclear war to make himself known. It is because once the nuclear war is occurring, he will step in and quickly negotiate peace treaties among all warring nations and will become known as a great “man of peace.” Then, the antichrist will turn his eyes towards the Catholic Church and, with aide of the false prophet (antipope), will destroy all genuine belief in God, killing all Christians and Jews. At the height of his power, all believers in God will need to seek shelter in supernaturally-protected refuges to escape martyrdom. However, I honestly believe that this six week period of time for conversions can be increased by the power of prayer. Much is dependent upon prayer both before and after The Great Warning. I will explain why a little later in this writing. The Tenth Secret of Medjugorje and the Great Chastisement of Garabandal are the same event by God. The Tenth Secret of Medjugorje and the Great Chastisement of Garabandal involve the Three Days of Darkness, as prophesied by many Saints in the Catholic Church. While the visionaries at Medjugorje have mentioned that the Three Days of Darkness are not part of the Tenth Secret, this is an honest, mistaken belief on their part. There are two reasons that the visionaries of Medjugorje think that the Three Days of Darkness are not part of the Tenth Secret. One, because they are witnessing the Tenth Secret in the daylight and not in absolute darkness; and two, because they are not witnessing all the supernatural elements of the Three Days of Darkness, which God has held back from revealing to them. They are seeing the events/happenings through human sight and not the Holy Sight of God. These facts will greatly change at The Great Warning (Illumination of Conscience). During The Great Warning, all six visionaries of Medjugorje will witness all the supernatural elements of the Three Days of Darkness. The last three visionaries of Medjugorje will receive their final Tenth Secret from Our Lady. Also, during The Great Warning, visionary of Garabandal, Conchita, will witness in totality the Three Days of Darkness from Our Lady, like the visionaries of Medjugorje. Thus, all six visionaries of Medjugorje and Conchita of Garabandal will witness the true Great Chastisement as seen through the Holy Eyes of God. Then, afterwards, all six visionaries of Medjugorje and visionary of Garabandal, Conchita, will be expected to testify about the Great Chastisement, which is conditional upon the response of mankind after the Great Miracle has happened. The visionary of Medjugorje, Mirjana, will not be permitted by divine decree from Our Lady to reveal the date for the Tenth Secret (Great Chastisement). The visionaries will only be permitted to reveal the contents of the Tenth Secret—the events/happenings—but, not the date. This is why there are six visionaries at Medjugorje and why they all have the Tenth Secret in common with each other. In fact, the Tenth Secret is the first Secret that is revealed by the visionaries of Medjugorje. The rest of the Secrets and their corresponding dates are revealed later by visionary, Mirjana, only after the Great Miracle of Garabandal has occurred. God does not want the conditional Great Chastisement to happen on earth, which greatly grieves His Most Sacred Heart. Thus, it is heavenly hope that the fresh testimony of the six visionaries of Medjugorje and Conchita of Garabandal about the Three Days of Darkness in the immediate aftermath of The Great Warning, will convince all mankind to return back to God. As the Book of Truth (Maria Divine Mercy) reveals, Pope Francis is the false prophet mentioned in the Book of Revelation (Holy Scripture). However, every person during The Great Warning (Illumination of Conscience) will be given a chance to redeem themselves in the Holy Eyes of God and Pope Francis is no exception to this real chance for eternal salvation. It is the expectation of Heaven that Pope Francis and Pope Benedict XVI dually consecrate, in concert with all Catholic Bishops, the nation of Russia to The Immaculate Heart of Mary. It is also the expectation of Heaven that Pope Francis and Pope Benedict XVI dually declare the Fifth Marian Dogma of Our Lady as Advocate, Co-Redemptrix, and Mediatrix of All Grace in the Catholic Church. If the Peace Plan of Fatima is fulfilled and the Consecration of Russia takes place, the nuclear war will be averted, the annihilation of the nations will not take place, and the nation of Russia will be converted to the Catholic Church. The sins of the popes and the clergy and the sins of the Catholic Church, particularly, against The Most Holy Eucharist, during the past two thousand years, will be forgiven by God. God will also forgive all mankind for all the collective sins that everyone has a part in. These collective sins have been building up since the beginning of time since the Fall of Adam and Eve. The antichrist will be unable to gain prominence in the world, because the nuclear war will be averted, and he will be removed by God from the face of the earth. In time, most of mankind will be converted and the Great Chastisement will not take place. And the Great Era of Peace spoken about by Our Lady at Fatima will take place someday soon after the Great Miracle of Garabandal has happened. However, if none of this happens after The Great Warning (Illumination of Conscience), then once the Great Miracle of Garabandal takes place, the fulfillment of the Ten Secrets of Medjugorje will occur on the dates to be revealed later by visionary, Mirjana. The Great Tribulation will continue to unfold as revealed in the Book of Truth (Maria Divine Mercy). The nuclear war will take place and various nations will be annihilated. The antichrist will gain entry to the Catholic Church and many good people will be martyred. Most of the natural earth will be destroyed, the faithful will be living at supernaturally-protected refuges, and in time, the Three Days of Darkness will happen. In every present moment, either the Divine Plans of Our Lady or the evil plans of satan are being advanced in the world. Our Lady is planning for every contingency of the evil plans of satan. Every contingency includes the possible use of physical refuges during the Great Tribulation. In every present moment, Our Heavenly Father is maximizing the number of souls that are being saved. Everything depends on the strength of prayer in each present moment as to what Our Lady is capable of doing and who is being saved in the world. No person on earth is guaranteed salvation—not even the greatest Saints—and each one must freely choose salvation for themselves while alive on earth, not afterwards. Much of the success of the Divine Plans of Our Lady will be directly tied to the power of prayer both before The Great Warning and during the six weeks of conversion immediately afterwards, on whether more time will be granted for the Consecration of Russia to The Immaculate Heart of Mary to take place on earth. This includes the achieved conversion of Pope Francis due to his mystical experience during The Great Warning and his response to the testimonies of the visionaries of Medjugorje and of Garabandal on the conditional Great Chastisement. There are three great prayer needs at this time: one, the visionaries of Medjugorje, and Conchita of Garabandal, need daily prayer to help sustain them for witnessing the Tenth Secret during The Great Warning (Illumination of Conscience) and their mission afterwards; and two, for the total complete conversion of Pope Francis. The intentions of Our Lady need to be prayed for every day by the faithful. I do not know all the aspects of the Divine Plans of Our Lady, but whatever they are, Her intentions need to be prayed for every day. Recently, at Holy Love Ministries (http://www.holylove.org), Jesus and Mary have expressed in several messages Their Desires for the country of the United States of America to become a “sanctuary nation” for all Christian believers and Christian asylum seekers. Holy Love Ministries is a very special on-going apparition site, holy spring and Marian shrine, in greater Cleveland, Ohio, USA. Jesus and Mary have also expressed at Holy Love Ministries, as well as through other chosen messengers, that the recent election of U.S. President, Mr. Donald Trump, was by Heavenly intervention, directly the result of prayer, and that his election has changed the course of history—the destiny of mankind. It is clear from several messages from different sources, that Mr. Trump is especially “anointed” by God to lead the United States of America, and in turn, the entire world, back to Christian ideals and Judeo-Christian beliefs. I do not know all the details of the divine calling for America to become a “sanctuary nation” or the special mission of U.S. President, Mr. Donald Trump, but I do know from reading the Book of Truth (Maria Divine Mercy) that America has a divine role to play in the world in The End Times. In the Book of Truth, God has revealed His desires that America is to be one of twelve founding nations for the Great Era of Peace. However, America can only have this divine founding role if it cooperates with the graces given to it by God and leads the world in returning to Christianity. America can only truly fulfill its divine destiny if Christians stand-up and unite together to take back the country from the clutches of satan. The Ten Commandments must be returned to all facets of life and God must be honored in public prayer and worship. Anything less will fail and will lead to the demise of our country, and in turn, the world. The demise of America will be a take-over by the antichrist in a New World Order; massive wide-spread death, destruction, and disease; and life in supernaturally-protected refuges for those who are blessed to reach them. However, if America fulfills its divine calling under President Mr. Trump, Jesus and Mary have promised a great Christian revival and a great return to world-wide dominance and wide-spread prosperity for the USA and, hopefully, in turn, the world. I also know that the apparitions, heavenly messages, and the spirituality given by Heaven at Holy Love Ministries is also key to the future of America and the world. It is the expectation of Heaven that every person on earth know, learn, and follow, the spirituality of The United Hearts of Jesus and Mary as provided for at Holy Love Ministries. I also know that it is the ultimate hope of Heaven that Pope Francis and Pope Benedict XVI embrace the spirituality of The United Hearts of Jesus and Mary as part of the universal teachings of the Catholic Church, along with the fulfillment of the Peace Plan of Fatima. The Great Era of Peace coincides with The Second Coming of Our Lord, Jesus Christ. If the Divine Plans of Our Lady are successful, then The Second Coming of Our Lord, Jesus Christ, will happen soon and the Great Chastisement will be averted. The Second Coming of Our Lord, Jesus Christ, can happen anytime and is not dependent upon the happening of the Ten Secrets of Medjugorje or the events of Garabandal or even the unfolding events of the Great Tribulation. No human intervention is needed before The Second Coming can happen. It is only known by Our Heavenly Father and it is solely His Divine Prerogative to decide the day and hour for this event. Our Father Is The Eternal Now. I do not know much about The Second Coming, but I am going to share something that was also revealed to me about the Divine Plan. After the final judgment of souls has happened, the old earth has passed away, and hell has been sealed, the general resurrection of all good souls will take place on a new earth and we will enter the Great Era of Peace. After the general resurrection takes place, when all good souls receive transfigured bodies, there is a very special gift that Our Heavenly Father desires to bestow upon each of His beloved children. All good souls will be given a very precious gift. All good souls will be matched with their eternal soulmate—a love-match literally made in Heaven, by their guardian angels. For some people, they will realize for the first time that they have a religious vocation and their soulmate will be Our Lord. For some people, they already know their soulmate and they will get to renew their sacramental wedding vows before Our Heavenly Father. For the clergy and religious souls, they will also get to renew their religious vows before Our Heavenly Father. And for all the hurting people in the world, especially, the young adults who cannot find their special person, and those from broken families, they will realize that day who their soulmate is and they will have a chance for true love before Our Heavenly Father. This is the Wedding Feast of The Lamb that all are chosen and called to enter in the New Paradise, the New Jerusalem, at The Second Coming of Our Lord, Jesus Christ. Each of us will be matched with our soulmate for the Great Era of Peace and there will exist only True Love for All-Eternity. Finally, I want people to know that I do not need any money for this blog, MaryRefugeOfHolyLove. I work full-time and have very stable income. The costs are very minimal for maintaining both websites and I consider the time spent working on the blogs a great labor of love. All I ask for is prayer. I am in deep need of people who will pray daily for the success of this blog. I need this blog and myself to be covered with much daily prayer, because I cannot continue to do this blog without it. In his most intense attacks, satan tries to drive me to the point of insanity and I lose my spiritual equilibrium—my sense of discernment between things of God and things of satan. I am no match for his clever superior intellect and when he attacks me, I fall quite deeply and quickly. I am not a saint. I have no special gifts or talents. I am just an ordinary person trying to follow the Divine Will of My Love, Our Lord, Jesus Christ. I know that this blog, MaryRefugeOfHolyLove, is part of Our Lord’s life mission for me. But, I cannot do this alone. I need help. I am in disparate need of constant, daily prayer from other people who care. I wish that I could remain silent and hidden in the background, like the great Saints that I admire for humbly, silently suffering. But, this latest attack from satan really, almost ruined me and the future of this blog and so much, etc. And unfortunately, satan never gives up, and in his fury, gets worse in each heightened attack that I experience from him. So, please, all I ask for is prayer. It means everything to me. I cannot continue without it. I really cannot. I am so grateful to anyone who can respond to this need. I really am. Thank you very much for considering and discerning this writing. You are all in my thoughts and in my prayers. God bless! In this commentary, I want to explain my understanding of the Syrian conflict. To be honest, I do not read or watch much news, as I avoid television and I am pretty much a hermit these days. So, my understanding only comes from reading and pondering heavenly messages. But, hopefully, this commentary will be helpful to others. God bless! Now, many people look at the Middle East and see how it is falling apart with Iran building nuclear weapons, Russia involved in Syria, the explosive growth of ISIS and terrorism, etc. People wonder what exactly is going on…? In the heavenly messages of Locutions To The World, Our Lady has said that the Middle East is satan’s playground. he loves to inflict suffering, pain and death; and that the Middle East is a microcosm—a snapshot—of what satan plans to bring to the rest of the world through widespread war and poverty. satan wants to make the whole world his playground and simply, the Middle East, is the starting point for his evil plans for the entire world. In the heavenly messages of Locutions To The World, Our Lady has also said although one sees initially the growing conflict in Syria, Iran, etc., these countries are not the main target of satan’s agenda in the Middle East. The main target is Israel, specifically, Jerusalem—the holy city of Jesus’ Life, Death and Resurrection. If satan were to gain control of Israel and destroy Jerusalem, it would set back the Divine Plans of God by hundreds of years. Many future generations of the human family would become lost, because the Light of Jerusalem would be extinguished in the world. In truth, Our Lady has hinted that if Jerusalem were lost, it may, in fact, be an unrecoverable and irreversible situation for God… The Divine Plan would be destroyed and nothing further could be done to bring the Light of Christianity back to mankind. That is how grave the situation is today. And so, what one currently sees in Syria, is not the full picture of the reality of the situation. satan is only using conflicts in Syria and the surrounding countries of the Middle East, so he can whittle down the defenses of Israel and gain control of Jerusalem. Israel is the goal and the target of satan’s war against mankind. Jerusalem is his prize and if he wins the holy city, he wins the war. It is finished. Now, on Easter, I wrote a very special commentary called, “After The Great Warning – Understanding Fatima, Garabandal and Medjugorje” (https://maryrefugeofholylove.com/after-the-great-warning-understanding-fatima-garabandal-and-medjugorje-by-a-soul/), that would be very helpful for people to read. I also wrote a special commentary last year called, “The Divine Plan and New Jerusalem” (https://maryrefugeofholylove.com/the-divine-plan-and-new-jerusalem/), which would also be very helpful to read. Both special commentaries that I wrote, will help to shed light on the words that I am going to write next. So, I want to encourage others to read them to understand my train of thought. In the Easter commentary, I wrote about the importance of the Consecration of Russia by the Catholic Church to the Immaculate Heart of Mary. I also tried to stress how important this Consecration of Russia is by Pope Francis and Pope Benedict XVI. It must be done—there is no other option provided by Heaven. Now, why is the Consecration of Russia so important, one may ask…? The reason is this: the Consecration of Russia will stop the nuclear war—annihilation of nations of people—from happening. It is through the nuclear war that the antichrist will gain prominence in the world, because he is the “peace-maker” who will negotiate all the peace treaties between the warring nations and because of his resulting worldwide influence, he will then gain access to the Catholic Church. This is revealed in the Book of Truth (Maria Divine Mercy). The nuclear war must never happen. This is what Heaven is trying to prevent. Russia is key, because it is trying to gain worldwide prominence in world affairs. It wants to be the dominant world leader. However, this country is controlled by satan and it is going about its affairs all wrongly. Russia is trying to exert its influence through its allies in the Middle East. However, the nation of Russia does not realize that it is only being used by its Muslim allies. As Our Lady has spoken in Locutions To The World, ISIS, Iran, and the like, do not want equality, they want to achieve worldwide superiority and dominance. The Muslim allies of Russia are only using the nation of Russia to maintain and spread their vice-like control over people. They do not want to be friends with Russia—that is not the reality of the situation. There is no human solution to the conflict in the Middle East. Our Lady has stressed in the Locutions, that hell lit its fires starting with the “Arab Spring” in Egypt and the situation in the Middle East has passed the “point of no return.” The fires of hell on earth can ONLY be quelled by releasing the fires of Heaven on earth. This can ONLY come about through the Consecration of Russia to the Immaculate Heart of Mary by the Catholic Church. Why naming Russia specifically in the Consecration? Why not just naming the whole world in general for world peace? Our Lady has also said in Locutions To The World that Russia needs to know the source of its blessings. The nation of Russia needs to know that Heaven is blessing it, particularly, by the actions of the Catholic Church. This can only come about through widespread knowledge that the Catholic Church is consecrating Russia in particular to Mary. It must be public and common knowledge. The Consecration of Russia cannot be hidden under a bushel basket. Heaven wants Unity among all Christians and all peoples. The conversion of Russia is key for the unification of the Orthodox Church with the Catholic Church. Our Lady has said in the Locutions that Putin will be the first person offered conversion after the Consecration of Russia takes place. Russia has Christian roots, not Muslim roots. Russia does not understand who truly wants to be friends with her. The Consecration of Russia will result in Unity between the Orthodox and Catholic Churches. Then, Unity will spread among all Christianity and eventually, Israel. Meanwhile, something very significant started happening almost one week ago. Last week, on Holy Saturday, the icon of the Blessed Mother as Our Lady of Kazan began weeping holy oil again in Damascus, Syria. The last time the icon exuded holy oil was sixteen years ago during Holy Week in 2001. The icon, Our Lady of Kazan, is actually a Russian icon, but has become also known as “Our Lady of Soufanieh.” It is associated with approved mystic, Myrna Nazzour, who comes from a mixed Christian heritage of Orthodox and Catholic. Myrna has experienced the stigmata and apparitions from Jesus and Mary. The main theme of the messages is the call for Christian Unity between the Orthodox Church and Catholic Church and the call for the same Easter day between the churches. I find it highly significant that the icon is Russian in origin, considering Heaven’s Plans for the Consecration of Russia to take place to the Immaculate Heart of Mary to avoid nuclear war; and that World War III actually begins in Syria, as revealed in the Book of Truth (Maria Divine Mercy). Also, since early February 2017, Jesus and Mary have been revealing Heaven’s intentions that the country of the United States of America, under the leadership of President Donald Trump, become a “sanctuary nation” for all Christian believers and asylum seekers. I have included a link at the end of this commentary to several heavenly messages about this special intention, as revealed at Holy Love Ministries (http://www.holylove.org). I have also included a link to a special message from Our Lord, Jesus Christ, at Holy Love about the actions that He desires the United Nations take in response to the humanitarian crisis in Syria. Specifically, that the United Nations set-up a special “safe zone” for all Christians in Syria, so the people do not have to suffer. I believe that these two requests from Heaven are highly significant, because the Great War (World War III), will start in Syria and it is only a matter of time for it to begin, as it is inevitable (all of hell’s efforts are focused on this). 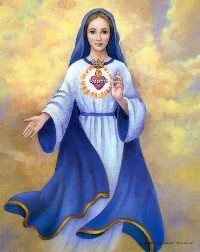 The Great War can only be stopped by the Consecration of Russia to the Immaculate Heart of Mary. All human solutions at this point are useless. Only Heaven’s intervention can stop hell’s march towards World War III on the face of the earth. This is why it must be made known to Pope Francis and Pope Benedict XVI about the urgent need for the Consecration of Russia to the Immaculate Heart of Mary, particularly, in the aftermath of The Great Warning (Illumination of Conscience), during which the antichrist will be trying to exert his power in the chaos and confusion that will surface on earth at that time. Pope Francis and Pope Benedict XVI need to know full-well Heaven’s Plans for the welfare of mankind. The Consecration of Russia to the Immaculate Heart of Mary must take place to stop the nuclear war (annihilation of nations) and the rise of the antichrist in global affairs. However, if the Consecration of Russia by the pope does not take place, is there any hope left for mankind? Are all things hopeless for mankind? No, there is always hope from Heaven for mankind. God and Our Lady would not leave us without hope during the Great Tribulation. As I have stated in my Easter commentary, Our Lady has many Divine Plans—contingencies—due to mankind’s free-will choices in the aftermath of The Great Warning (Illumination of Conscience). So, if Pope Francis rejects his appointed role in the Divine Plan, there is a contingency for this—the coming of the Two Witnesses of Revelation. (See my writing, “The Two Witnesses,” https://maryrefugeofholylove.com/writings-by-a-soul/the-two-witnesses/). In particular, one of the Two Witnesses is a man—a Catholic priest who will become known as the “Pope of Fatima.” He will be raised up to lead the Remnant Church by extraordinary supernatural intervention, which will indicate that he is clearly favored by Heaven and leave no doubts among people that he is the chosen Pope of Fatima. His short reign will consist of consecrating Russia to the Immaculate Heart of Mary and eventually dying a martyr’s death in Jerusalem (according to the vision of the Third Secret of Our Lady of Fatima). After 3 and ½ days, life will return to his body and he will be raised up before an astonished world. Then, the Pope of Fatima will ascend to Heaven as witnessed by all, which eventually leads to unification between Christianity and Judaism and a return of the papacy from Rome to Jerusalem, as it always was meant to be. Also, I want to mention a further footnote about the Consecration of Russia to the Immaculate Heart of Mary. If Pope Francis rejects doing the Consecration of Russia, it will be impossible for all faithful Catholic Bishops to do the consecration at the same moment in time. However, Heaven has planned for this possible eventuality, too. On September 18, 2007, God the Father provided a prayer for the Consecration of the World to the United Hearts of the Most Holy Trinity in Union with the Immaculate Heart of Mary. It was given in a series of heavenly messages at Holy Love Ministries and I have included a link to more information about it at the end of this commentary. The particular uniqueness of this Consecration of the World to the United Hearts is the fact that it does not have to be coordinated at a particular day and time. It can be accomplished immediately once a church leader is aware of it. Thus, if the Consecration of Russia to the Immaculate Heart of Mary fails to take place, God the Father will accept in lieu the Consecration of the World to the United Hearts. It is my hope that this commentary helps many people. That is the sole reason that I have written it. I want to thank everyone who has been praying for me and the success of this blog, MaryRefugeOfHolyLove. Ever since I asked for intercessory help in my Easter commentary, the effects of grace have been immediate and clear. I have been able to return to singing my love-songs (I like to praise My Love in music), and I have real joy and true peace in my heart. I have been able to write this commentary today in peace with very little set-backs. I am so grateful for all the help everyone has given to me; and I continue to ask for intercessory prayers, because I believe God and Our Lady desire that I continue writing more commentaries. In particular, my next commentary will be about the antichrist and will reveal many of hell’s secrets. It is an important commentary that needs to be written, because it will break satan’s stranglehold over mankind, especially, if the writing becomes common knowledge in the aftermath of The Great Warning (Illumination of Conscience). There are other commentaries that I believe that Our Lord and Our Lady desire me to write as well, such as on the Law of Divine Justice, Three Days of Darkness and the Divine Will, etc. However, whether I am able to write all these commentaries in a timely manner and in peace and with clarity of thought, is directly tied to intercessory prayer. So, I continue to ask for help and I thank any person who can respond to my prayer need. God bless! I dedicate this special writing to Our Lady, Most Holy Queen of Heaven and of earth and the guardian angels of the world. All Glory Be to God! As I have revealed to followers of this blog, MaryRefugeOfHolyLove, in January of this year, I was given several graces of infused knowledge by God. These graces were given to me over a period of time while I was undergoing much major spiritual warfare. And it has taken me a few months of discernment to understand what was revealed to me while I have been under constant demonic attack. And in that special commentary, among other things, I described the sequence of the unveiling of the Secrets of Garabandal and of Medjugorje and how it all relates to the Marian apparitions at Fatima. And I wrote about how The Great Warning – Illumination of Conscience unlocks the Secrets of The End Times and about how the conditional Great Chastisement from God can be avoided by mankind. Dually declare that the teachings and spirituality of the heavenly messages at Holy Love Ministry (http://www.holylove.org) are part of the universal teachings of the Magisterium of the Catholic Church and lead all the faithful in pursuing the spiritual journey of personal holiness through The Most Sacred Chambers of The United Hearts of The Most Holy Trinity in Union with The Immaculate Heart of Mary. I also said in that special commentary that if these three conditions are fulfilled by Pope Francis, Pope Benedict XVI, and the Catholic Church, that God would grant many special blessings to mankind. I said that most of mankind would be converted to God, a nuclear war would be averted, the conditional Great Chastisement would not take place, and God would remove the antichrist from the face of the earth. I also said that the Great Era of Peace would descend upon the earth, which would coincide with the Second Coming of Our Lord, Jesus Christ, sometime after the Great Miracle of Garabandal has taken place. I do not know when the Second Coming of Our Lord, Jesus Christ, will happen. No one on earth, nor in Heaven, knows the happening of this Great Glorious Event. It is only known by Our Heavenly Father. All Glory to God! Meanwhile, I also shared in that special commentary that I have other things that I must write about for Jesus and Mary to further the Divine Plan on earth. I hope to be able to write special commentaries about the antichrist, the Battle of Armageddon, the Eternal Law of Divine Justice, and the Three Days of Darkness, among other things, when I am given the graces from Heaven to share them with you all. I am only awaiting the divine timing of revealing these things to mankind. Meanwhile, for this special writing, I am going to share some things that were revealed to me by St. Gabriel the Archangel in January. I am going to provide some clues about the Great Miracle that will take place at Garabandal; as well as clues about the Sign at Garabandal and at Medjugorje. However, before I share these clues in this special writing, I need to write a disclaimer for all readers of this love-note. I was told by St. Gabriel what the Great Miracle, the Sign of Garabandal, and the Sign of Medjugorje, are. However, I was experiencing major spiritual warfare at the same time that this information was being conveyed to me. I do not claim perfect discernment; and, in truth, I am still discerning about what was revealed to me. There are certain aspects of what was revealed to me that I am uncertain about and I only know that the authenticity of what was revealed to me will only be confirmed by God at The Great Warning – Illumination of Conscience. I know fully well that satan can disguise himself as an angel of the Light and so, I only reveal these few clues now, trusting in The Lord that He will reconcile all Truth at The Great Warning. And if what was told to me by St. Gabriel is indeed the Truth, then I will reveal more after The Great Warning has taken place, in preparation for these Great Acts of God to take place on earth before mankind. The above statement by the visionaries is true. There is a connection between The Great Warning – Illumination of Conscience and the Great Miracle of Garabandal. The Great Miracle will serve as a reminder of the mystical experience that everyone on earth will have felt during The Great Warning. The Great Miracle is related to The Great Warning. The Great Miracle is something that exists in eternity before The Throne of God. The Great Miracle gives Great Glory to God. The Great Miracle involves The Most Holy Eucharist. The Great Miracle affirms all teachings, all truths and all aspects of the Universal (Catholic) Faith. The Great Miracle explains the meaning for Creation. The Great Miracle showcases the supernatural truths of hell, Purgatory, and Heaven; and the reality of the Communion of the Saints. The Great Miracle affirms all genuine Marian apparitions and Our Lady as Queen of All Hearts. The Great Miracle IS the Triumph of The Immaculate Heart of Mary and proves that hell will never prevail against the Catholic Church established by Our Lord, Jesus Christ. The Great Miracle humiliates satan. The Great Miracle IS Divine Mercy and Divine Love. If Pope Francis witnesses the Great Miracle as it is happening at Garabandal, the mystical experience will convert his heart and he will dually consecrate with Pope Benedict XVI and all Catholic bishops the nation of Russia to The Immaculate Heart of Mary. The Great Sign of Garabandal is an impression of a single moment captured during the mystical experience of the Great Miracle of Garabandal. The Great Sign involves The Most Holy Eucharist. The Great Sign is meant to convert all unbelievers and to encourage all souls to decide and live for God and follow His Divine Will and His Divine Plan. The Great Sign of Medjugorje will serve as a reminder of The Great Warning – Illumination of Conscience, the Great Miracle and Great Sign of Garabandal. The Great Sign is related to Fatima and Our Lady as Rosa Mystica (the priesthood).